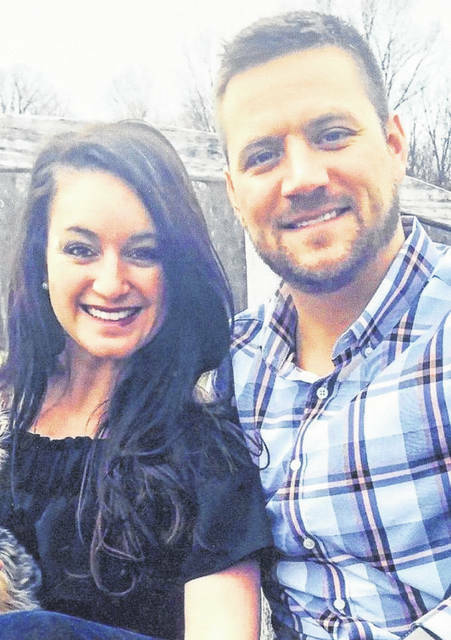 COLUMBUS — Alyssa Morgan Sims and Samuel James King announce their engagement. Sims is the daughter of Tom and Lisa Sims, of Lima. King is the son of Lisa (Jim) Klingensmith, of Canfield, and Charles King, of Masury. The couple will exchange vows at 5 p.m. Aug. 31 at SoSerene, Wapakoneta. Sims is a graduate of Lima Central Catholic High School and Capital University. She earned a Master’s degree at Franklin University. She is a physicians practice administrator with OhioHealth. King is a graduate of Brookfield High School and University of Mt. Union. He is a branch manager at HomeTown Lenders Inc.